Technology has changed the world quite a bit since I started college, and the extent to my dorm tech was a laptop, flip phone, and boom box. Today new college students have a multitude of tools at their disposal to connect and engage with technology far more easily (and also cheaply) than any other time, and it drastically improves the quality of life, security, and control. While Smart Home tech is dominating the home gadget sphere, there are similar benefits that can be had for students looking to build a smart dorm with the latest devices, without breaking the bank. We narrowed down the best tech for college students looking to build a smart dorm (or smart apartment) that are inexpensive, easy to set up, and make sense for a smaller living space. What is a Smart Dorm? A smart dorm is just like a Smart Home, only scaled-down for size and budget. A Smart Home is one that has connected devices for either security (like locks, motion sensors, smoke detectors, or cameras), ease of use (like remote or triggered lighting control, entertainment, or access), or reduced energy consumption (like irrigation control or temperature control). When it comes to defining a smart dorm, of course there is no element of a yard to worry about, individual temperature control, or the autonomy to hard-wire devices, but some of the basic elements of security are still applicable. A smart dorm should have devices that are a good fit for students in price, ease of use, and require no modifications to the living space, which also can apply to those in apartments looking to build out a Smart Home of their own. What Smart Devices are Good for College? Aside from living on a shoestring budget and minimal sleep, college students now have access to more devices to maintain a certain standard of living when it comes to privacy and control over their environment like many of us do. Simply relying on trust between roommates or the efficacy of a manual lock doesn’t hold the same weight as it used to. Since college students are always on-the-go moving between classes, the library, perhaps a job and social events there is a lot of time when the dorm or apartment are left out of sight. Key areas where students can look to improve their control and comfort with connected devices are going to be in the areas of security, as well as lighting and device control via smart plugs. Undoubtedly the best smart devices for students will be the ones that are most beneficial to them now, but one of the great things about building a Smart Home is the longevity of the devices. Sure, new models are always coming out and new technologies are unearthed regularly, but just like a hermit crab sheds its shell and moves on, students can gather up their devices and leave the dorm or apartment, having a leg up on their Smart Home in a new location. Since the Smart Home market is still so new and constantly updating firmware, compatibility with future products should not be much of a concern for now, unless a specific company goes out of business. With all that said, we narrowed down some of the best smart gadgets for college students to deck out their dorm or apartment with some added utility. The list is nowhere near comprehensive, as everyone’s situation is different and there are constantly new devices popping up on the scene, however this guide will get you on the fast track to understanding the connected ecosystem. 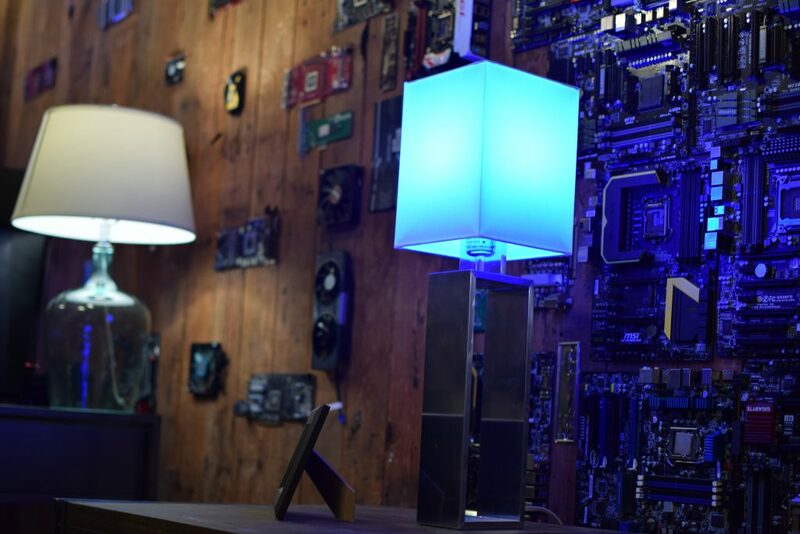 Starting from the basics, smart lighting and plugs are one of the simplest ways to test the waters of smart devices and see if the idea of connected living is even appealing. First off, smart lighting is any sort of lighting (whether it is a bulb or LED strip) that can be controlled via smartphone app, which likely will have the ability to pair with other smart devices. Smart plugs are quite simply the same functionality but, well as a plug to turn off and on other devices. Most smart lighting solutions will be one of the main Smart Home protocols (Wi-Fi, Zwave, Apple HomeKit, Zigbee), and these are all fair game for students, however the easiest and most common will likely be Wi-Fi). Bluetooth lighting solutions should be avoided if users want to actually build out a more complicated smart dorm, because there are limited uses with the protocol. While smart lighting and plugs can be useful for operating them remotely from either the bed across the room or even across campus, there are many more advanced functionalities that come into play when building out the connected ecosystem with automated actions. Setting scenes for different times of the day when lights turn on or off, enabling electronics to power on automatically, or dimming the lights based on the time of day can all be great ways to up the dorm game. 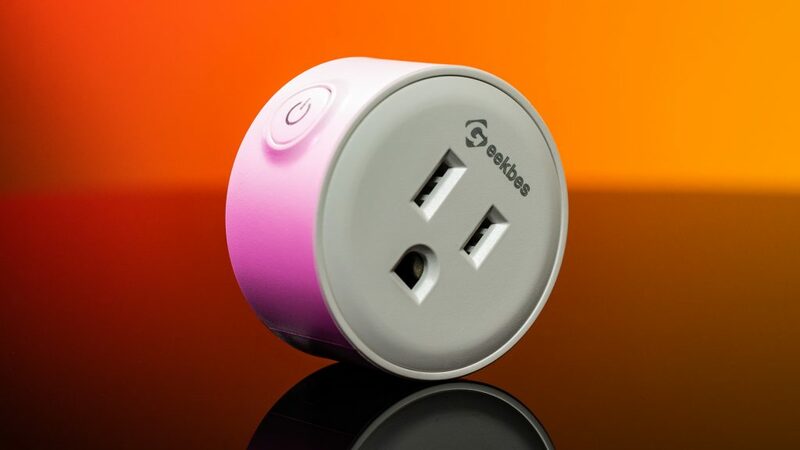 The Geekbes smart plugs are a great start for students building out their first Smart Home experience, with really formidable features in a cheap package. 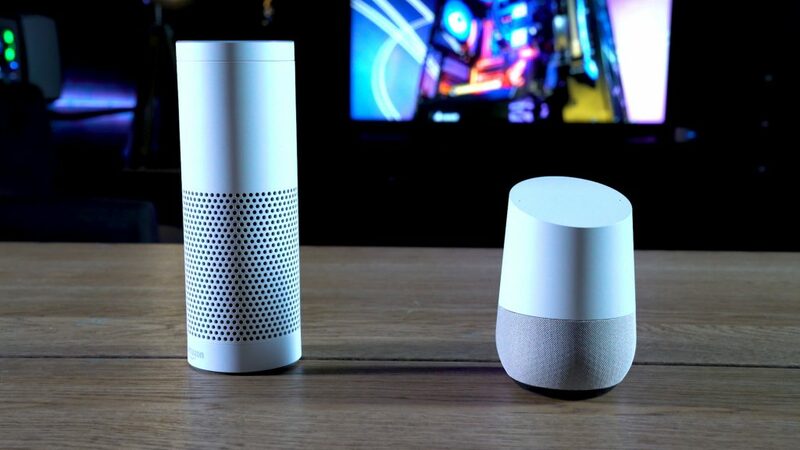 First off, the $37 three-pack is Amazon Echo and Google Home voice compatible, which means it has legs to carry students beyond the dorm and into the Smart Home beyond. They operate on 2.4GHz Wi-Fi, so they can be accessed via Android or iOS app from anywhere without range limitations. 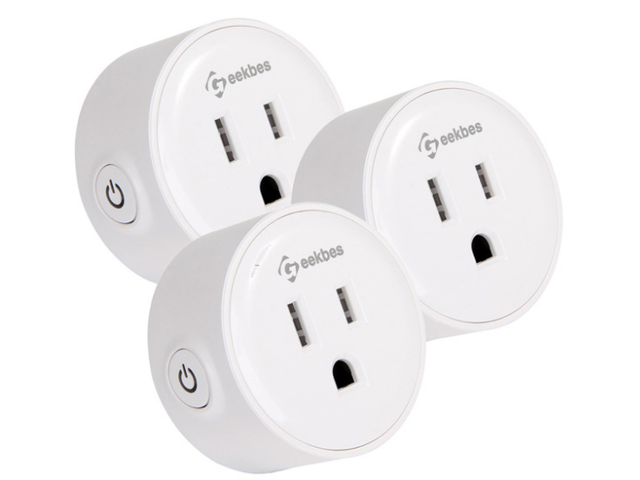 Not only can the plugs be controlled remotely, but they can also be set to timers. This comes in handy when using things like candle warmers, diffusers, stereos, TVs, or even other lighting elements. 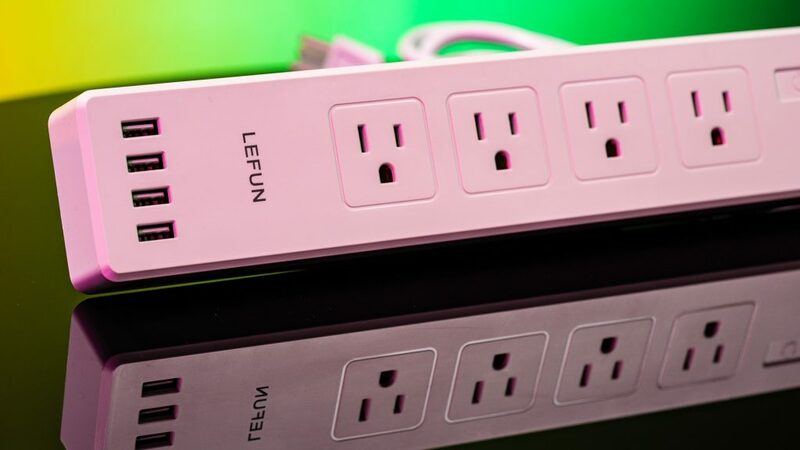 The smart power strip from LeFun is one of the first like this that I’ve seen, and I think it is an awesome design. Taking the best of a normal surge protector, adding four 5V USB ports, and making it compatible with voice assistants and remote operation is great, and having individual control is really practical. 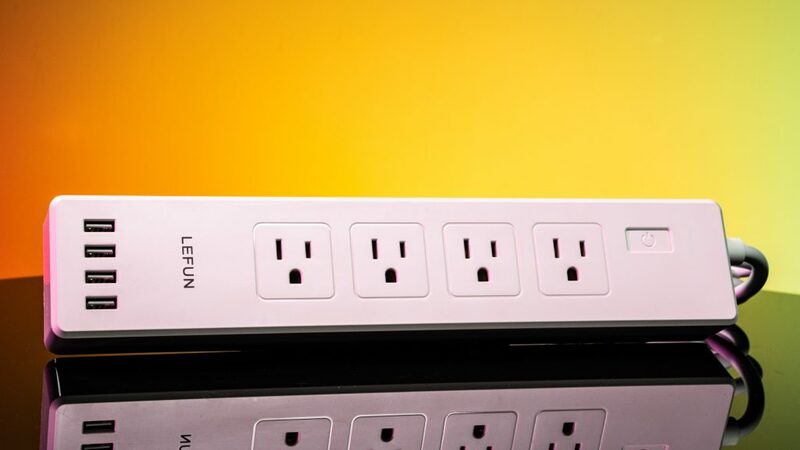 This operates on a proprietary app, and with a standard 6’ cable it works just like any other power strip would in the home save for the benefit of having complete remote control up to 1250W. The individual schedules can be set per outlet, which makes it really intuitive for incorporating into practical use for lighting, water boilers, or other devices in a dorm with limited outlets. 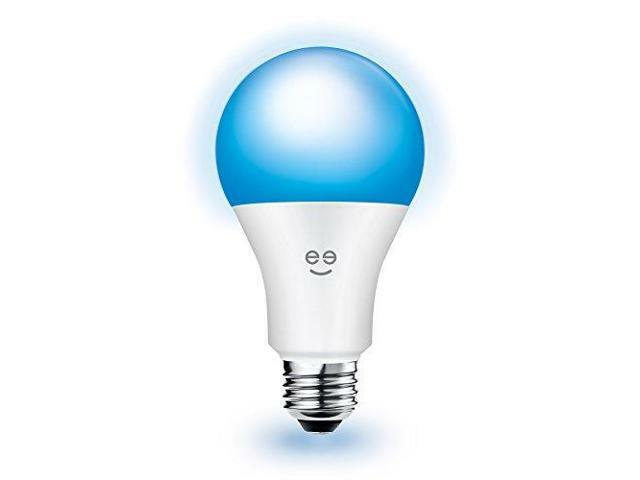 Smart bulbs are the easiest possible smart dorm upgrade— as easy as screwing in a light bulb. In all seriousness, upgrading lighting with some added smarts is an awesome way to have greater control over customizing the dorm space. 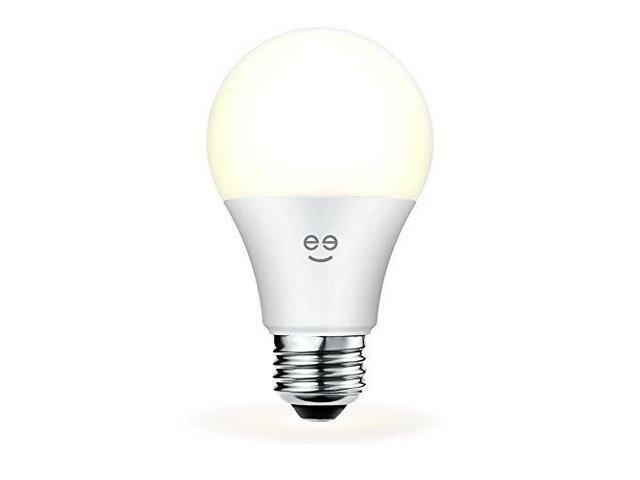 The Geeni LUX 800 bulb is a 60W equivalent white LED bulb, which can be dimmed or brightened at-will from either the phone app or voice control (via Alexa or Google Assistant) without a standalone hub. One cool thing is that the bulbs can be controlled singularly or as groups, so those with a couple lamps or lighting setups can customize their lighting. 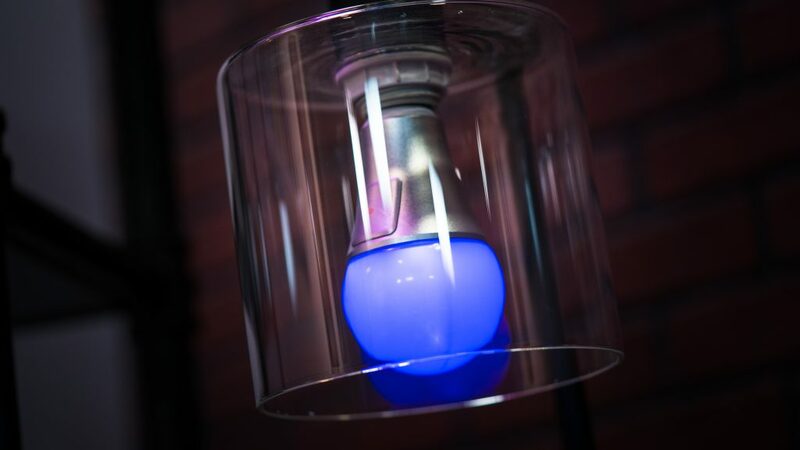 Geeni’s RGB Prisma bulb has the same functionality as the white bulb, but with the added element of virtually any color selection. While somewhat novel (but undoubtedly cool and great for relaxation or party scenes), adding a slight hue to certain areas of the room brighten up the space and splash some personality into the quarters. 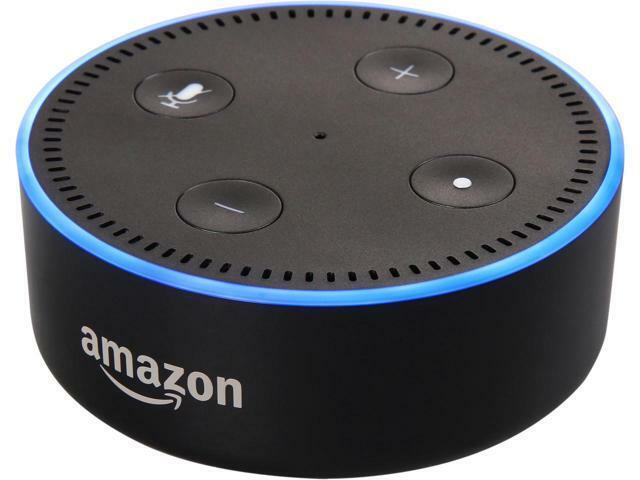 You’d be hard-pressed to find a teenager who hasn’t heard of either Amazon Echo or Google Home, but the takeover of voice controllers is not stopping with the home. 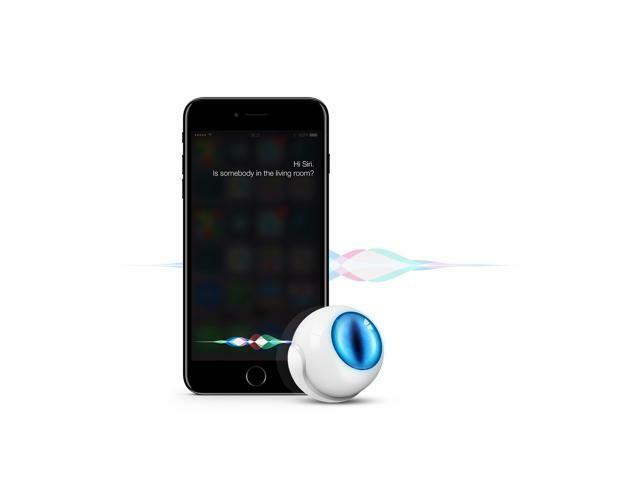 These voice controllers are most widely used as timers, to play music, set reminders, or even make phone calls, but their greatest power is unlocked when paired with smart devices. 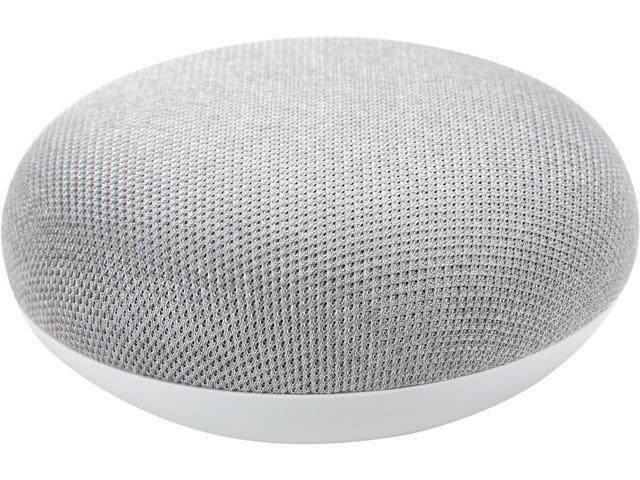 The Echo Dot ($44) and Google Home Mini ($40) versions of these devices are perfectly suited for the dorm or apartment, as they take up minimal space and can blend right in with any decor. Of course, price being the governing factor these devices have dropped in cost recently, and they are well within a reasonable price for students to get without needing to skip meals. Even if the smart dorm isn’t built out yet, having a voice controller is actually often a good place to start as it can be used as a standalone communication tool. Making hands-free calls, playing music, checking weather, setting reminders, or fun queries is great to remain focused when studying— or when busy gaming— as well as opening up the potential of virtually every other smart device on the market. 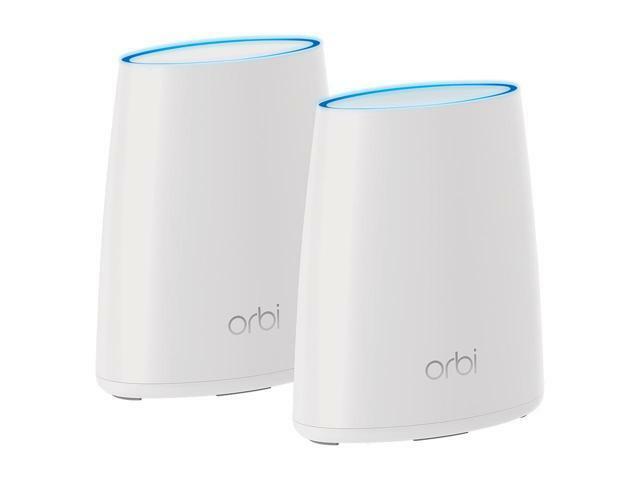 Since the Smart Home industry has rapidly shifted to adapt to the popularity of these devices, you would have to do some serious digging to find a legitimate connected gadget that doesn’t mesh with at least one of these little companions. They are very similar in functionality, and can use voice command to control any device they pair with. For example, triggering a “wake-up sequence” that turns on the room lights, turns on the TV and plays music can all be done with a simple voice instruction. Pretty nifty indeed. We would be remiss talking about Smart Home devices and not mentioning security. It may sound over-the-top, but keeping a pile of gadgets and all your belongings with a stranger always made me feel uncomfortable. When I was in college I used a Master Lock and a metal locker, but things have advanced quite a bit since then. 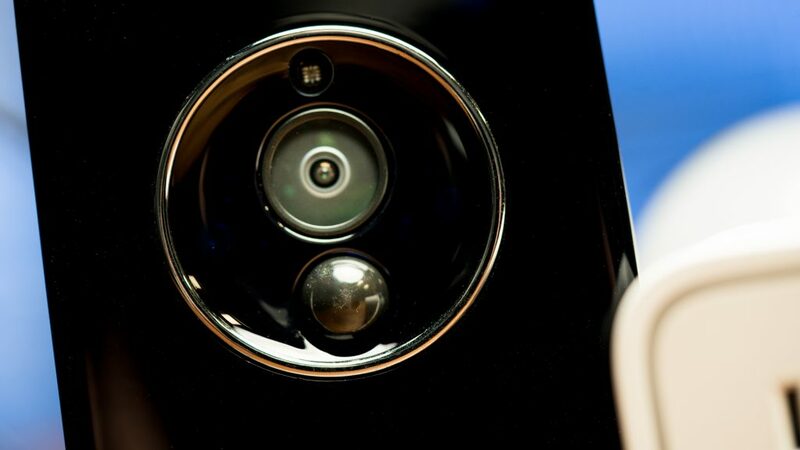 Being one of the broader categories in home automation there are various types of security based on the size of the space and the need, such as standalone motion detection that can trigger alerts, surveillance cameras to capture any trespassing or potential robbery (better for apartments or long weekends when nobody is home for privacy purposes), or locks to shut down the access. One key benefit of virtually all connected security devices is the ability to see an access log when actions are detected, which not only gives peace of mind but also transparency that has never been available before. 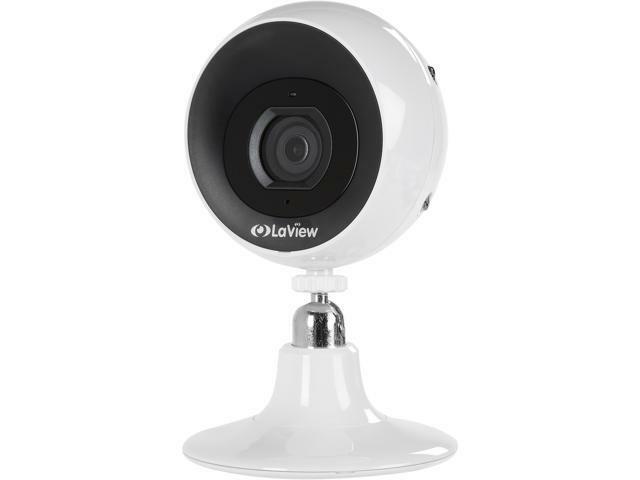 While there are numerous benefits to smart security devices in the dorm or apartment, since it is a shared living space there should be measures taken to ensure everyone is protected against spying or invasions of privacy. HomeKit is great for iPhone users because it is by Apple, and die-hard iPhone users should love that, but also because no hub is needed to operate the devices. This makes things easy, and users can be sure that their devices will communicate well with one another. 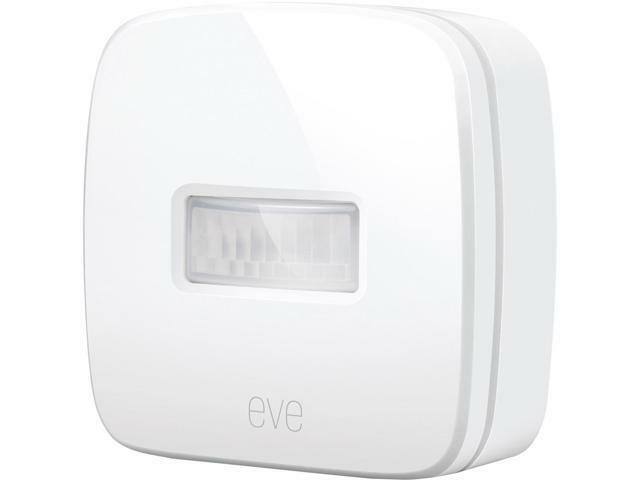 The Elgato Eve motion sensor – $67 isn’t the cheapest of smart devices for the dorm, but it is a great one to get to give added security without imposing on roomies. In addition to detecting motion and sending instant alerts to the app, the Eve can deliver information about air quality, temperature, humidity, and more. Beyond the functionality of the module itself, the Elgato can run scenes across various devices to control their activation in a string of actions for some really intuitive use cases. Since the protocols need to align, the devices connected all need to be HomeKit, however lighting, plugs, and other products can be set to interplay with one another based on changes to the environment or on set schedules. From a security perspective, when motion is detected in a dorm room and a light is activated, push alert sent to mobile, students can rest easier knowing there is less chance their belongings are a- risk. Wi-Fi is a great protocol because like HomeKit, you don’t need any sort of hub to operate the ecosystem aside from having a Wi-Fi network. Now it would be best to have your own router and security in place, just in case the dorm-wide network security is compromised. 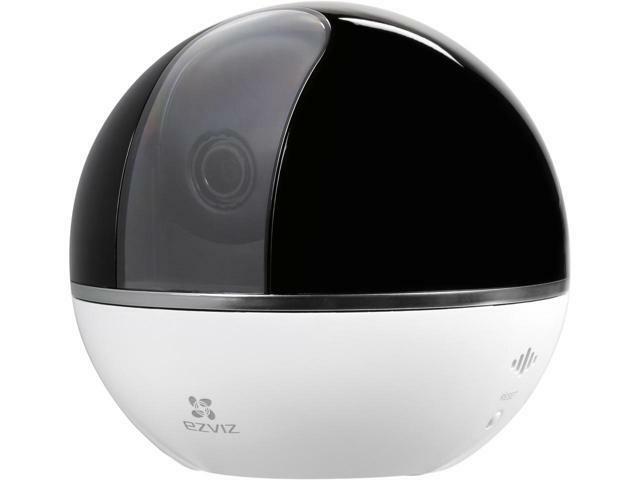 As a standalone camera, the EZVIZ Mini 360 is a great device for dorm room security, with 1080p resolution, Alexa and Google Assistant compatibility, night vision and two-way audio. 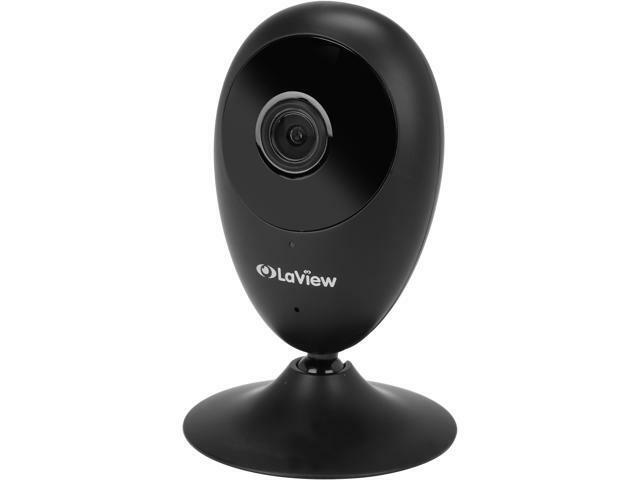 One great element to this surveillance camera is the ability to tilt and pan the camera using the app, so users can keep an eye on their space or even pet while away from the building. With MicroSD or cloud storage capabilities, paired alongside the instant notifications for motion, it is hard to pass up the efficacy of the EZVIS Mini 360 (read review here). 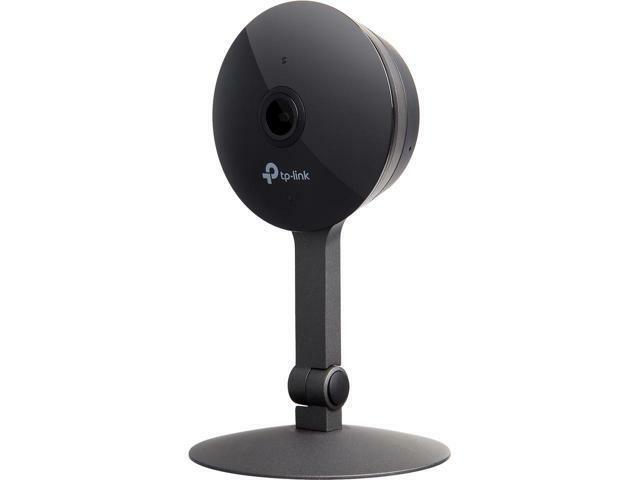 A household name, TP-Link’s KasaCam is a solid choice for additional security in confined places. 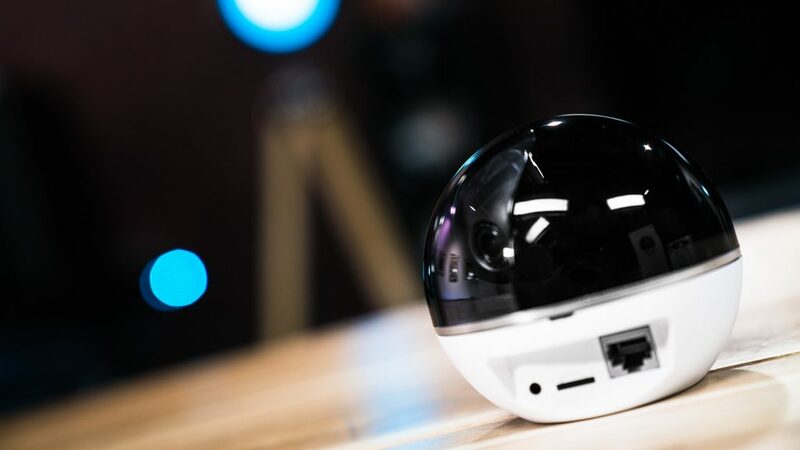 Despite being whisper-thin, this camera has 130° of 1080p recording with Alexa and Google Assistant compatibility with two-way voice communication. 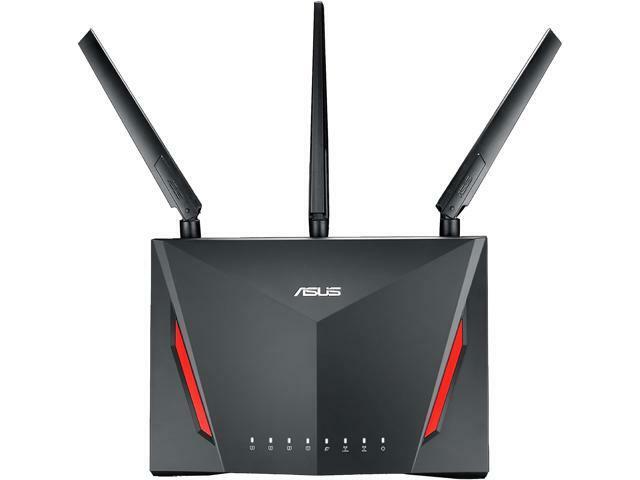 On top of that, this has AES 128-bit encryption and dual band Wi-Fi for added security and functionality, albeit a little on the pricier side for students. While pushing the upper limits of what I would say is attainable for a college student, the Sesame smart lock is probably the only smart door lock that students dorming can actually use without getting hit by a fine from the housing department at checkout. 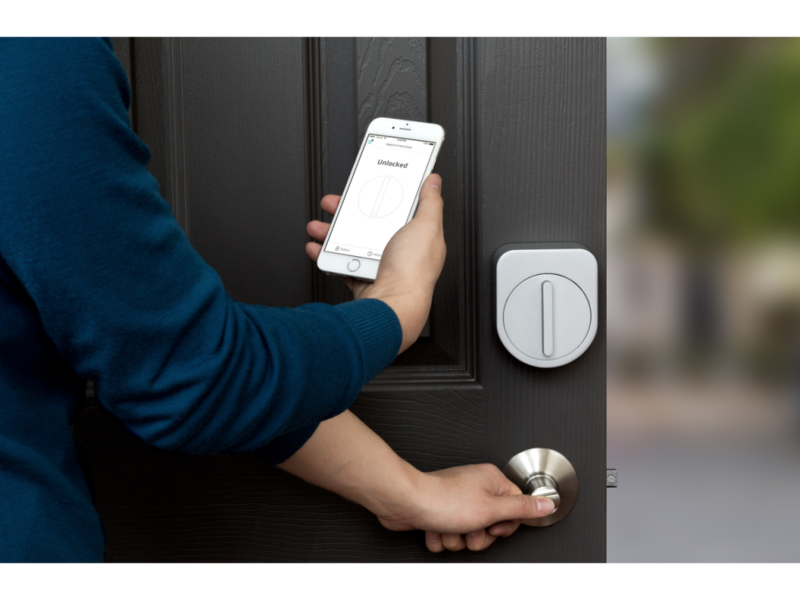 This smart lock retrofits over the existing deadbolt lock on the inside, and simply acts as a hand to mechanically control the locking mechanism via app. Because residents can share access via the app to those who they trust, it is a perfect application for those who have friends come and go, or even those who want to head to the gym without bringing any keys. The batteries last about 500 days and during that time the physical key still is functional, as is a setting to automatically lock the door upon closing. As usual, an access log of entry and exit keeps students aware of the activity in their room even when they are away. 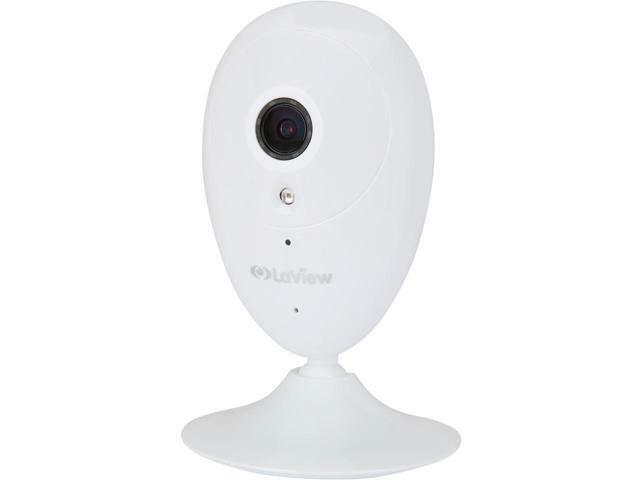 This is a comprehensive kit that covers several bases for smart dorm security, and is an out-of-the-box solution for door and window monitoring along with a surveillance camera and connectivity for both Android/iOS devices. The door or window sensor affixes to any portal that is important, sending alerts to the user when entry to the area is detected. Coupled with the camera, users can check to see if the action is malicious or warranted. With a built-in microphone, anti-sniffing technology to protect data and video privacy, and AES-256 bank-level encryption, the smart dorm is now a safe dorm. 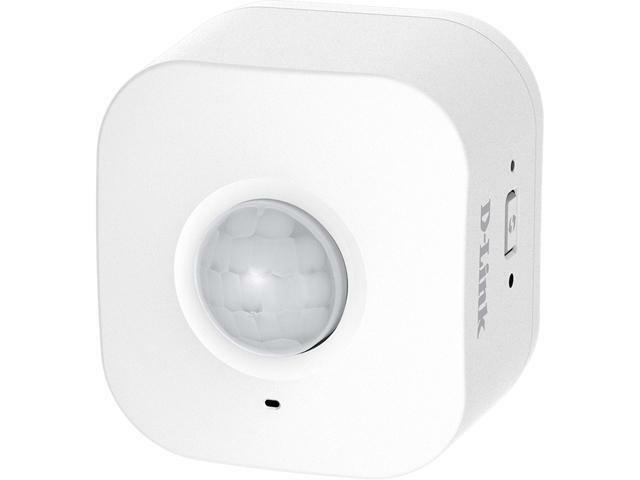 For students just looking for a simple solution to know if their home is entered while they are away, the D-Link motion sensor is a basic but effective tool. Simply put, it can be set up to detect any motion and send an instant notification to the app and alert residents of activity. 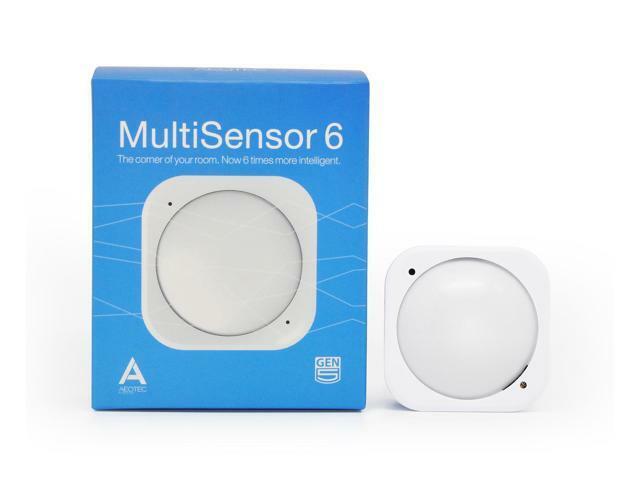 The beauty of devices like this motion sensor is that they can be added on to existing Wi-Fi smart homes, or used as a base for building out a greater connected ecosystem to pair with lights, fans, or audio alerts to amplify the detection impact. Z-Wave is a secure network protocol, that it popular for many advanced home automation pros due to its security. This protocol does require a hub to link all the devices together, so that is another consideration when thinking about which protocol to build a smart dorm on. While this does mean that some devices will not work with this protocol, it is widespread and finding compatible devices is no chore. 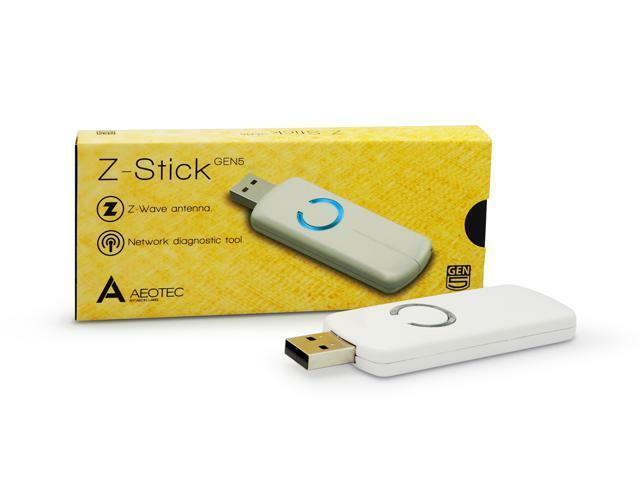 The Aeotec USB Dongle is the smallest hub I have ever seen, and it is perfectly suited for a dorm. While Z-Wave is a pretty robust protocol and hundreds of devices can potentially be on the same network, this little guy does the job in a much more simplistic fashion. Gen5 is the newer version of Z-Wave which carries even more security than the previous versions, however it is backwards compatible with earlier model devices. The beauty of the Z-Wave protocol is the ultimate control that users can have over all the devices on the network, and the level of tech geek excitement goes through the roof with this stuff. Advanced IFTTT (If This, Then That) programming have virtually endless possibilities based off this simple device. This is a compact, well-rounded sensor that monitors temperature, motion, humidity, light, vibration, and even UV changes with immediate notification via push notification. As with other devices, when paired with a network this monitoring can be just the beginning of a string of actions from closing the blinds if too much light is detected, to triggering blaring music if motion is registered when it shouldn’t be. 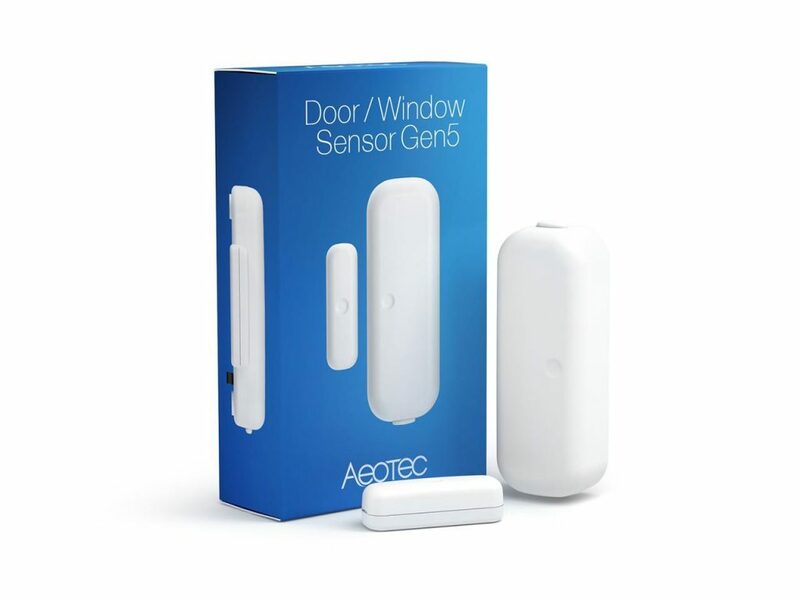 Similar to other door and window smart sensors, the Aeotec models for Z-Wave can be situated in any desired fashion, to monitor desk drawers or cabinets even. As long as the contact points can be removed from the very immediate presence of one another, the door and window sensors will trigger alerts for student inhabitants. When paired with a greater Z-Wave ecosystem, if a personal cabinet is opened without the owner’s permission, an instant message can be sent, surveillance cameras can kick over a live video feed, the door can be locked, and police can be called all at once. Very often college life is in constant motion, between classes, hitting the gym, studying, working, and having fun. That doesn’t mean that security should stay with the home, and smart security sensors for on-the-go use are great for use on college campuses. These small tags can be placed on or in personal belongings to keep track of their location, with notifications at the detection of movement outside a perimeter (or any motion at all). These devices use accelerometers to measure a stagnant position, and register movement to send instant push notifications or an instant audible alarm to the user. Since these items are usually quite small they utilize Bluetooth as a way to conserve energy, with a rather close range of signal broadcast. 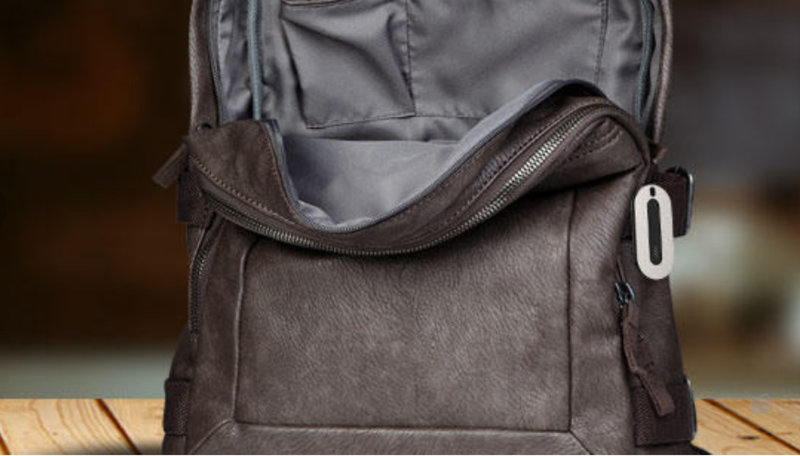 The Mynt smart tracker makes for a great option to toss in a gym bag at the gym, or backpack at the library to keep track of things that should be in close proximity to students. It can be used to notify users when objects are moved, but also used as a finder for lost items like keys or a wallet if it is attached proactively. The range is 150ft, which is likely within the range that most would be from these key personal belongings at any given time when security is a concern. The built-in 80dB alarm can draw attention to the device as a security measure and aid in locating items that have walked off with someone else. With a battery life of a year on a replaceable battery, it can be used frequently or as a backup measure as-needed. There are a few options with different features, like the Mynt ES- $14.99. 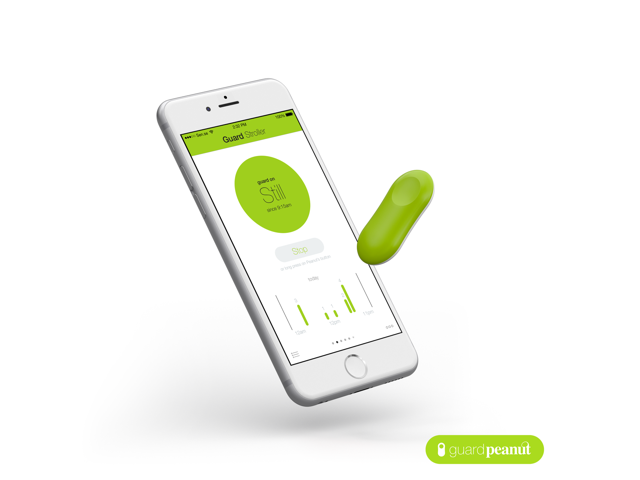 One unique element about the Sen.se Peanut is that it can work offline away from the phone and store data for up to 30 days, which can then sync with the app once back in range. While this isn’t necessarily the use case for watching belongings for theft, if a private area is accessed (via door, drawer, cupboard, etc) it can be noted and reviewed later. 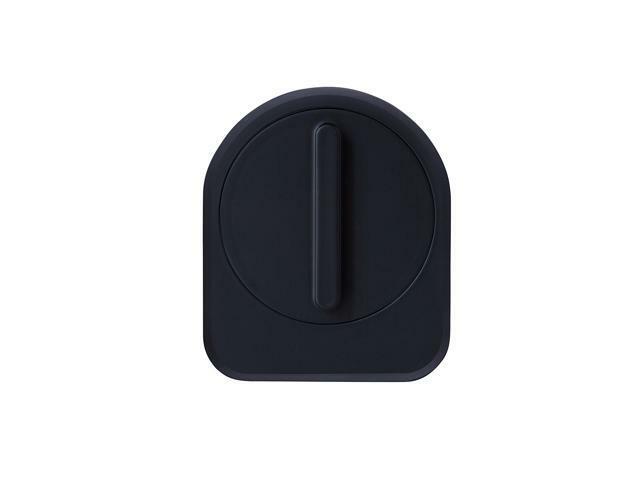 This device permits a slightly greater range of operation at 200ft, and with a putty backing and key ring it can be affixed to a variety of surfaces. There are a variety of other options for portable motion sensors, and their possible use case is virtually endless. With the latest technology it isn’t hard to get complete control over your environment, even in a bustling setting like a college dorm. Connected devices of today allow for virtual control and complete peace of mind without the need to have padlocks and chains wrapped around every belonging. The main objective behind any smart system is security and control, and establishing these in a small setting like a dorm or apartment lends to familiarity and greater utility down the road as life goes on. While I can appreciate that this article is designed to help sell products on the NewEgg Website, I have to warn of a possible failure point that can flat out destroy this “Smart Dorm” concept. My objective here is to help NewEgg prevent having unhappy customers. 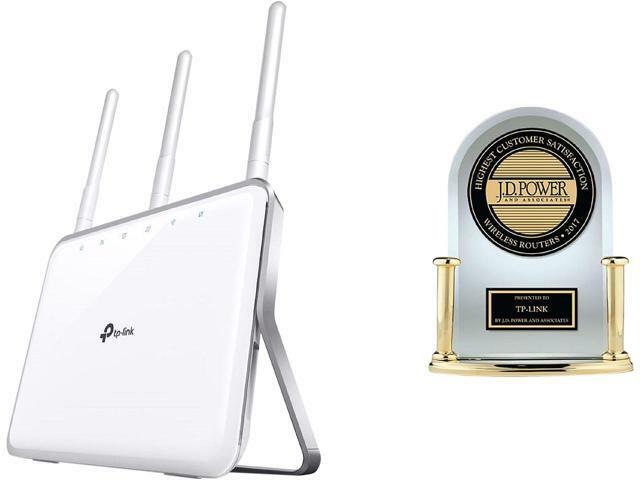 Many dorms now are providing Wireless networking and these networks are not on the same level as the above devices are *intended* to be used on. 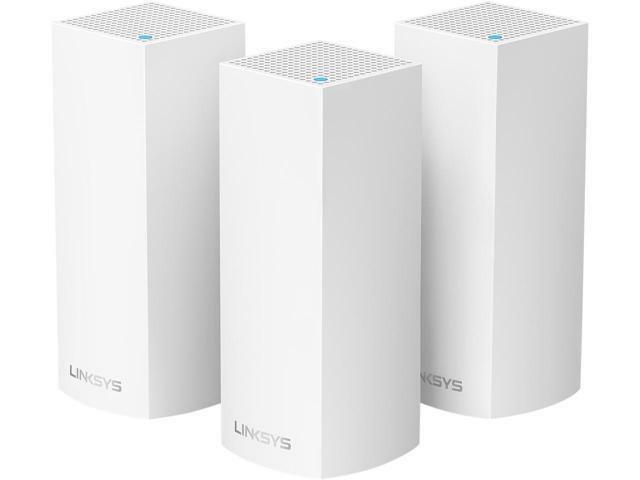 These devices are designed and intended to be used on private “Home” networks. What you’ll find in most dorms is an Enterprise level network designed to provide service for hundreds of users and all of their individual devices. In an effort to provide some measure of Security for such a large network, it is common that UPnP (Universal Plug and Play) (also known as Multicast, is Disabled on the network. Why would a provider disable this UPnP? Imagine you’re on the 4th floor in room 437 and have a Wifi printer. If UPnP is enabled and all network devices can “talk” to one another, then it’s possible that someone down on the first floor in room 104 could accidentally print to Your Printer. They might have the same Brand wifi printer as yours and when they hit print it goes to your printer by mistake. Since it doesn’t come out in their printer they figure it’s a fault so they restart their printer and hit print again, and again. Now you’ve got stacks of printouts up in room 437 and an unhappy person down in 104. That’s just one example. I work for a company that provides internet services for college students in dorms and college houses. Students contact support regularly for issues like not being able to use wifi cameras, Philips Hue lights or Google Home, Google Chromecast, and yes smart plugs controlled by your phone. You may say to yourself, ok well if it doesn’t work on the provided network I’ll add in my own wifi router and then …. Sorry but no, that can add new problems of a different sort. Either your signal will degrade service for everyone around you, or the provider will flat out disable the connection to your dorm for breaking the ToS (Terms of Service). I get it, college students want Gadgets. But these “Home automation” devices are not designed to work in Dorms that have Enterprise Level networks already in place. Last bit, get a USB cable for your wifi printer and turn the wifi function OFF if you can, or set a VERY HARD wifi password on it. You don’t want someone to connect wirelessly and print pages of useless stuff as a “Prank”. Wifi printers are great for Home and Small Office, but they can be a pain in the Dorm.